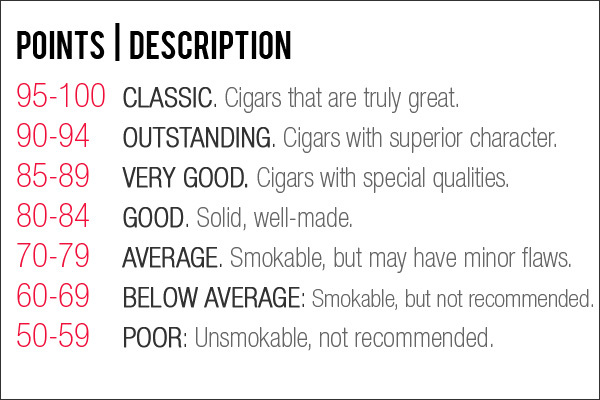 Appearance – This is the overall look of the cigar. The wrapper and band are of particular importance. Construction – This represents how well the cigar smokes. The draw & burn are key here. Flavour – This represents how the cigar tastes and the complexity of the flavour profile. The average of these three scores represents the final score.